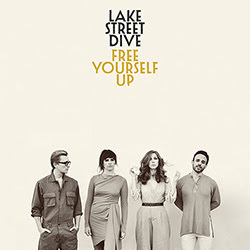 Lake Street Dive's Free Yourself Up is, in many ways, the band's most intimate and collaborative record. The band worked as a tightly knit unit to craft the ten songs on Free Yourself Up and self-produced the album in Nashville with engineer Dan Knobler. "Free Yourself Up is about empowering yourself, emboldening yourself," says the band, "no matter what's going wrong." Pre-order to get an exclusive, autographed print and download "Good Kisser" now. 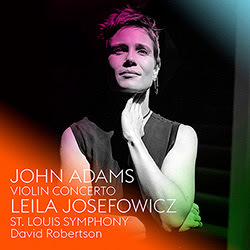 This new recording of John Adams's Grawemeyer Award-winning Violin Concerto was made with his frequent collaborators violinist Leila Josefowicz, conductor David Robertson, and the St. Louis Symphony Orchestra at Powell Symphony Hall in St. Louis. The piece features Adams's usual "intelligence, craftsmanship, and quirkiness," says the Boston Globe, and "mingles virtuoso show with soul." Pre-order to download the third movement, "Toccare," now. 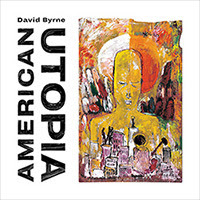 David Byrne's new album, American Utopia, out next Friday, is streaming in full till then as an NPR First Listen! "In a world filled with millions of songs about personal problems and love gone right or wrong," says NPR Music's Bob Boilen, "I'm thrilled to have a record that opens my eyes and widens my perceptions and helps me stop and make some sense of this inexplicable, mind-bending world of ours." 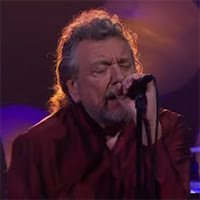 Robert Plant and his band were on The Late Late Show with James Corden last night. They performed "New World" from his new album, Carry Fire, and Plant spoke with Corden about a karaoke incident. 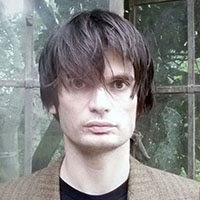 Jonny Greenwood, who is up for Best Original Score at the Academy Awards this Sunday, spoke with NPR's Morning Edition about his Oscar-nominated score to Paul Thomas Anderson's film Phantom Thread, and his appreciation for the humble recorder. 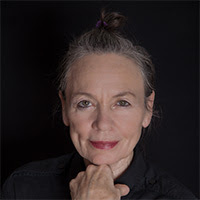 Laurie Anderson was on CBC's Q. She spoke with host Tom Power about her experience of Hurricane Sandy and about finding hope in loss. They also discuss the work it inspired: Landfall, her new album with Kronos Quartet. 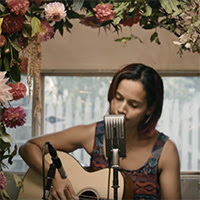 Rhiannon Giddens, who takes part in the Tibet House Benefit Concert at Carnegie Hall on Saturday, performed Lydia Mendoza's 1934 song "Mal Hombre" in a flower-filled 1954 Silver Streak trailer in East Nashville for The Bluegrass Situation's Sitch Sessions. 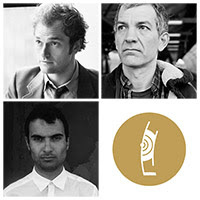 Congrats to Chris Thile, Brad Mehldau, and Tigran Hamasyan, who are up for ECHO Jazz Awards: Thile and Mehldau for their duo album Chris Thile & Brad Mehldau, and Hamasyan for his album An Ancient Observer. 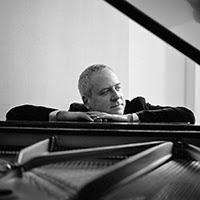 Jeremy Denk's concert with Britten Sinfonia at Milton Court in London earlier this week -- part of his ongoing Barbican residency -- featured music by Gershwin and Stravinsky and was broadcast on BBC Radio 3's In Concert. 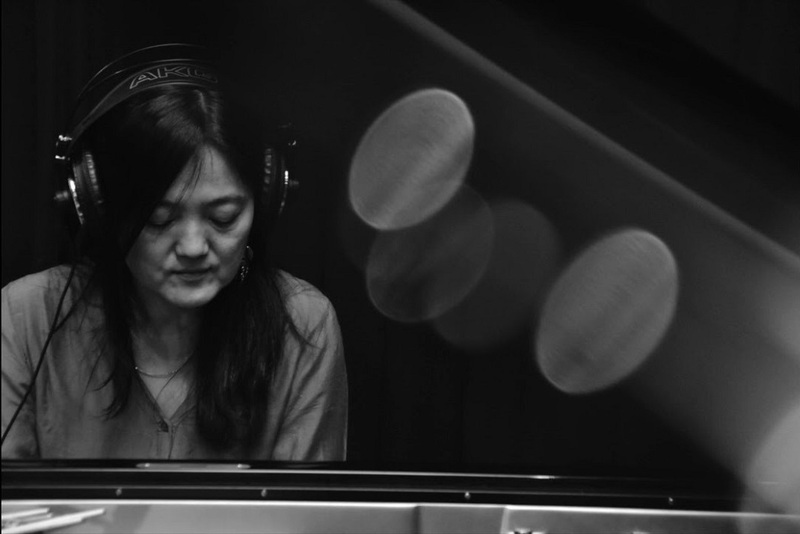 Since the release of her trio album 'Makiko' (Enja, 2006), Makiko Hirabayashi has received critical acclaim both in Europe where she resides, and in her home country, Japan. The freshness of both her compositions and the trio's vibrant interplay has caught the ears of many listeners around the world. 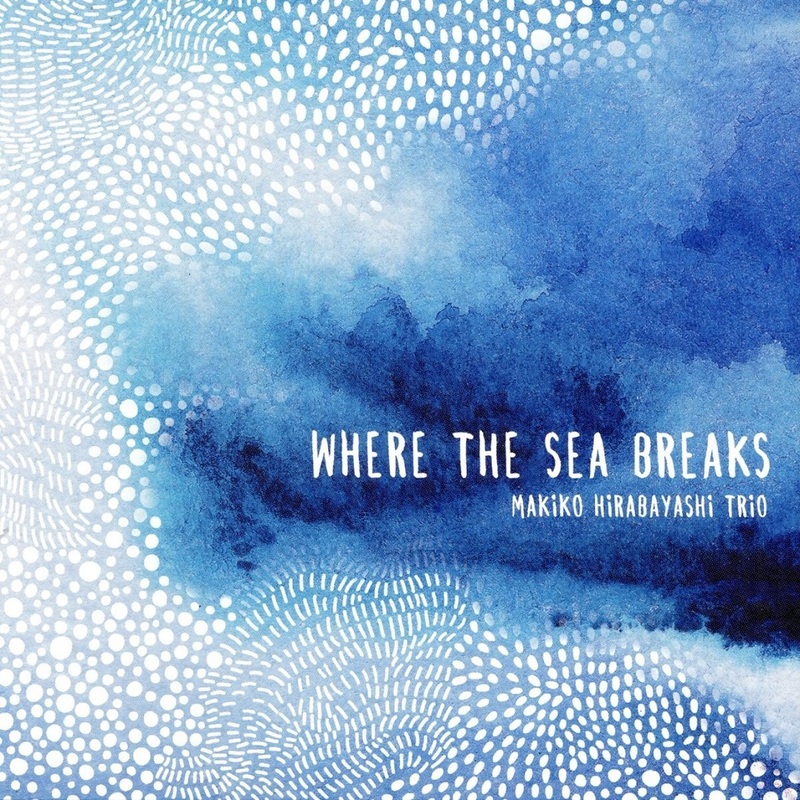 The trio, featuring drummer/percussionist Marilyn Mazur (Miles Davis Group 85-89, Jan Garbarek Group 91-05) and bassist Klavs Hovman, has been her main focus in the recent years, where she established her unique voice through Performances at international jazz festivals and venues around Europe and Japan. Makiko Hirabayashi was born in Tokyo where she started playing classical music on the piano at the age of 4. Spending 5 years of her childhood in Hong Kong, a cultural melting point at the time, has had a lasting impact on her life. At age 20, she won a scholarship to the Berklee College of Music in Boston, where she studied for 3 years, absorbing the language of jazz. 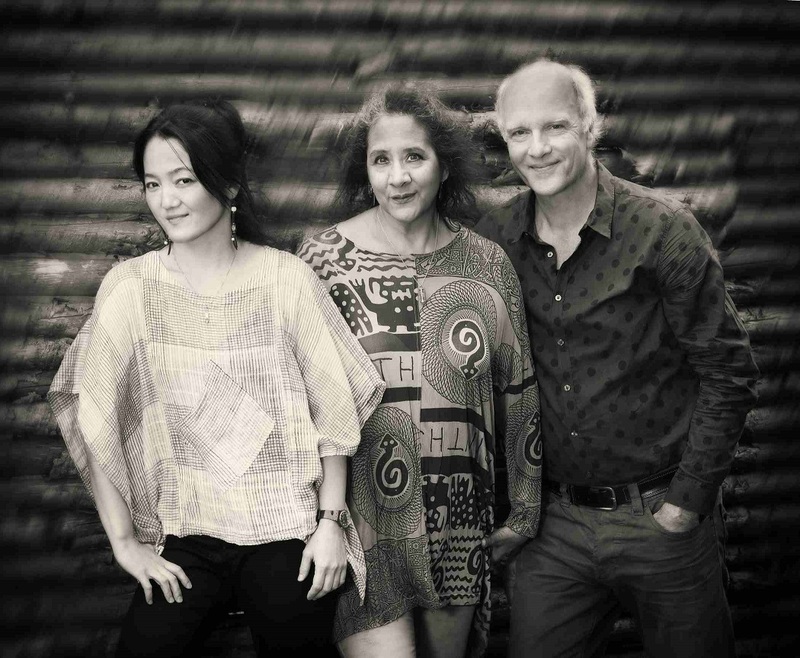 Since 1990, she has been based in Copenhagen, Denmark, collaborating with numerous musicians both on the jazz scene and the world music scene. Her multicultural background and musical diversity is reflected in her music. Elements of jazz, classical music, Far Eastern music and Nordic sound are all moulded in an uncontrived fashion into an intriguing, compelling sound of her own. 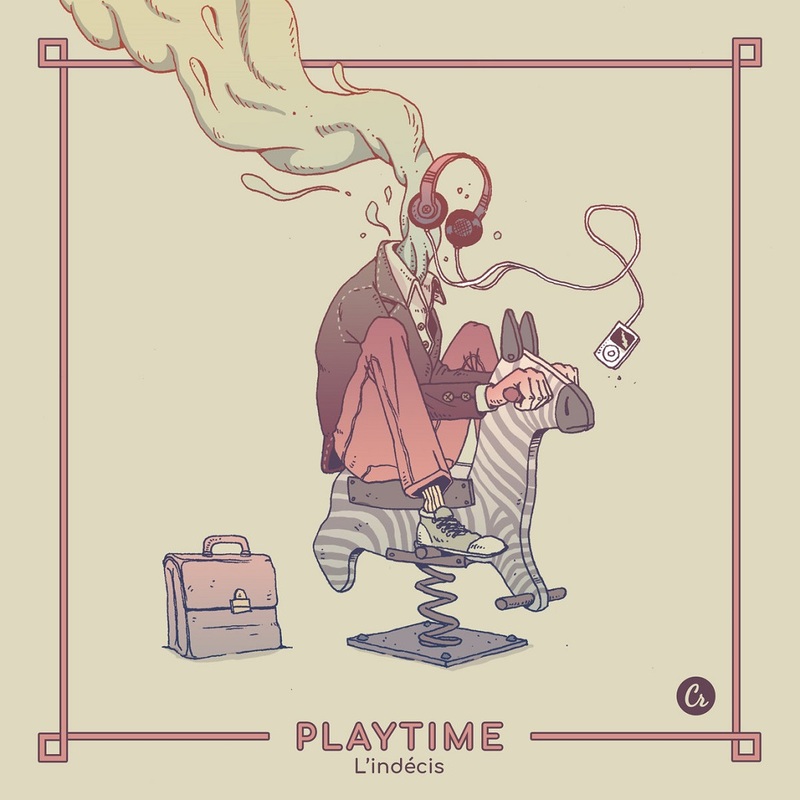 After a couple of promising releases and the very well received debut album "Plethoria", L'indécis is back for 2018 on Chillhop Records with a new EP "Playtime". A relaxing and catchy release, for instrumental hiphop and jazz-fusion fans. A step ahead for the french beat-maker that you can enjoy now with a limited colored vinyl edition sublimated by the stunning artwork of his trusted partner Jeoffrey Magellan. The release comes as a 12" Colored Vinyl with an unreleased bonus track exclusively on vinyl. Oregon civil rights activist Kathleen Saadat is one of the state’s most respected and admired leaders. A graduate of Reed College, she has been on the front lines of political and social activism for over 40 years. She was the Affirmative Action Director of Oregon under Governor Neil Goldschmidt, and was one of the drafters of the Portland Civil Rights Ordinance. She has tirelessly worked for social justice, advocating for people of color, women, the LGBQ community, and the economically disadvantaged, among others. “Kathleen is the social conscience of Oregon,” says Thomas Lauderdale, who became friends with Kathleen in the summer of 1991, when both were working for City Commissioner Gretchen Kafoury and Lauderdale was contemplating a political career. “Kathleen taught me everything I know about politics… how to communicate, how important it is to do things in the right order, how to build coalitions.” Lauderdale also discovered something not many people know about Kathleen: she is an extraordinary singer. Through the years, Kathleen and Thomas would get together to sing for fun. One day, Kathleen requested that they record a couple of songs together for her family and friends. Thomas hatched a plan to record a full-blown album of jazz standards featuring Saadat’s rich lead vocals. 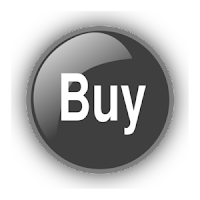 Love for Sale, created between touring and recording projects with Pink Martini, is the result of this eight-year journey. 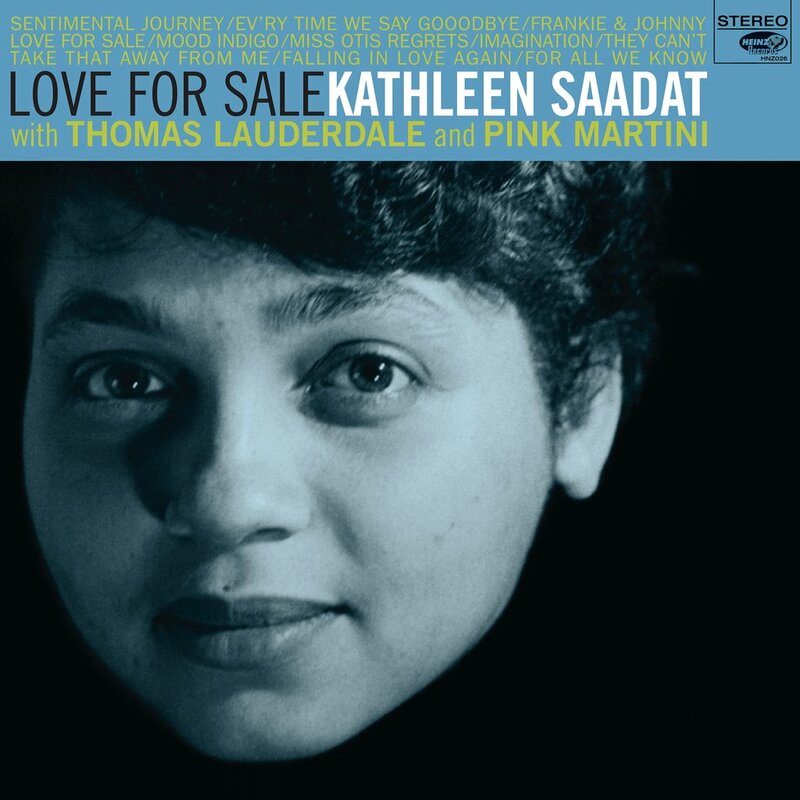 Gathering members of Pink Martini to act as Saadat’s backing band, and anchoring the project from his piano, Thomas curated this ten-song album of favorite standards, sung with grace and gravitas by Kathleen. The result is a nostalgic and elegant album, a showcase of an undiscovered talent, and a timeless tribute to the golden age of American song. Sylvain Daniel, musicien bassiste hétéroclite flirtant aussi bien avec la scène jazz (ONJ Olivier Benoit, Vincent Courtois, Thomas de Pourquery) qu’électro (Bot’Ox), pop (Camelia Jordana), hip-hop (The Wolphonics, Gaël Faye) ou world (The Afrorockerz, Yom) présente son premier album Palimpseste – Voyage imaginaire dans les ruines de Detroit. Le répertoire de ce projet a été inspiré par les photos de Romain Meffre et Yves Marchand, tirées du livre Ruins of Detroit, et a donné lieu à un spectacle scénographique multimédia, créé en 2016. Sylvain Daniel n’est jamais allé à Detroit. Mais depuis toujours, il est bercé par la musique de la Motor City, de la soul de la Motown au hip hop de Jay Dee, en passant par l’électro minimaliste de Juan Atkins. C’est en découvrant le livre des jeunes photographes français qu’il fait le lien entre les origines de tous ces artistes et réalise l’influence qu’a eue cette ville sur sa culture musicale, sans la connaître. Ainsi naît Palimpseste, une invitation à une immersion dans un Detroit fantasmé dont l’art transpire encore des multiples couches des murs abandonnés, comme un parchemin qu’il faudrait gratter pour qu’il nous livre son histoire. 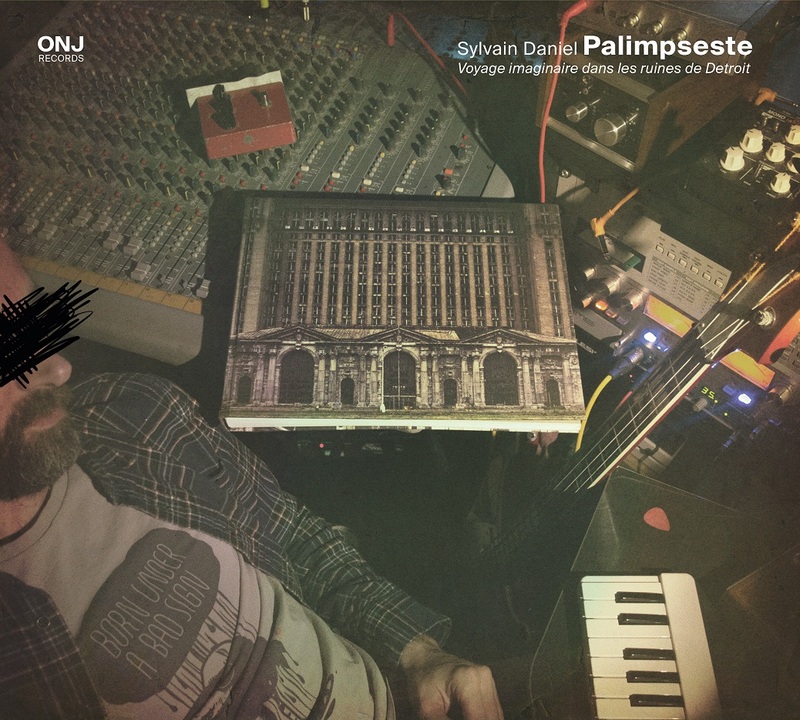 C’est toute la production de l’album qui se trouve directement inspirée par l’héritage musical de la ville, superpositions des timbres et grooves accidentés, à la manière de J Dilla (Hôtel Fantastic, Game On), sonorités sombres et répétitives rappelant l’univers robotisé de la ville et l’émergence de la techno (FisherBody Party, PsychoFact), ballades spirituelles enregistrées live dans l’esprit de la Motown (Les Colchiques, School Song)… On y retrouve des clins d’œil à Slum Village ou Cybotron. Chaque morceau nous plonge dans une sorte de rêverie où la ville nous raconte son histoire, livre son énergie et laisse place à l’imagination, guidés par la musique composée par Sylvain Daniel. 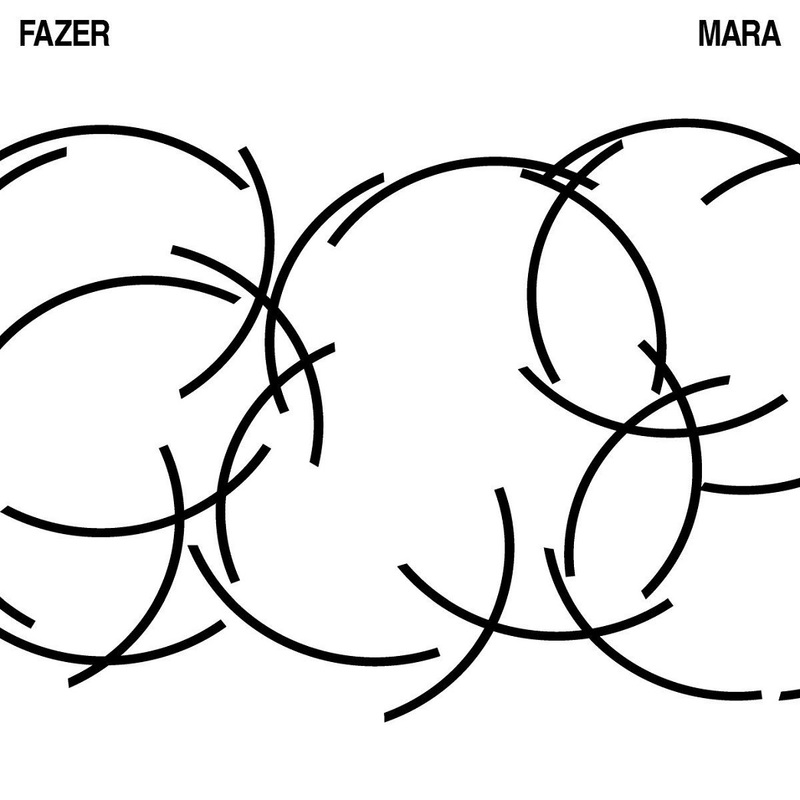 MARA is the debut album of Munich-based jazz group FAZER. The young musicians combine African and Latin rhythms with dubby basslines and melancholic melodies. The unusual lineup with two drummers (Simon Popp, Sebastian Wolfgruber), bass (Martin Brugger), guitar (Paul Brändle) and trumpet (Matthias Lindermayr) leaves an open space for unfettered improvisation. Through the concept of repetition and finely measured dynamics, Fazer create a drawing energy that can be felt directly at their live shows and has been captured perfecty on this record. 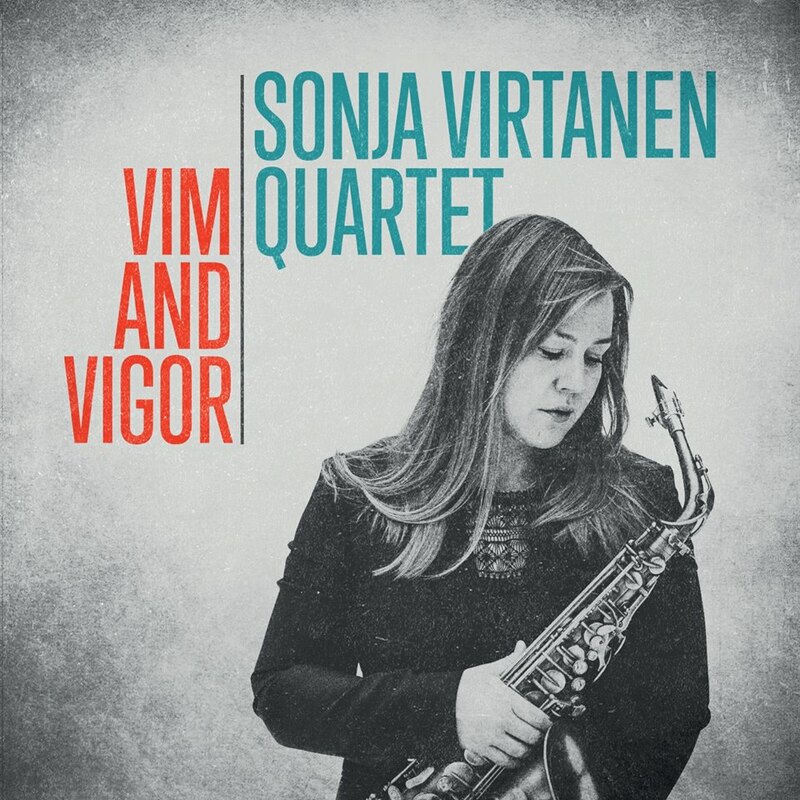 Sonja Virtanen Quartet is a saxophone-led jazz band from Helsinki, Finland, whose debut album of diverse originals leans on strong grooves and intriguing melodies. The band is especially influenced by the hard bop era of the 1950's. 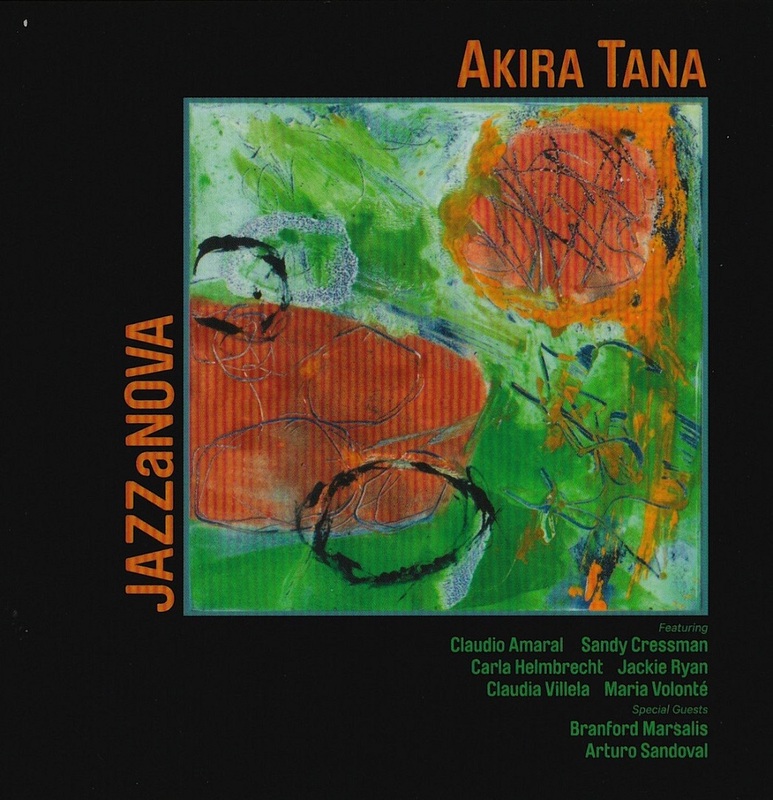 AKIRA TANA didn’t have to go looking for Brazilian music as a young musician.An elite jazz drummer since the mid 1970s, he’s been immersed in the verdant hot house of Brazil’s surgin grhythms and sensuous melodies his entire career. 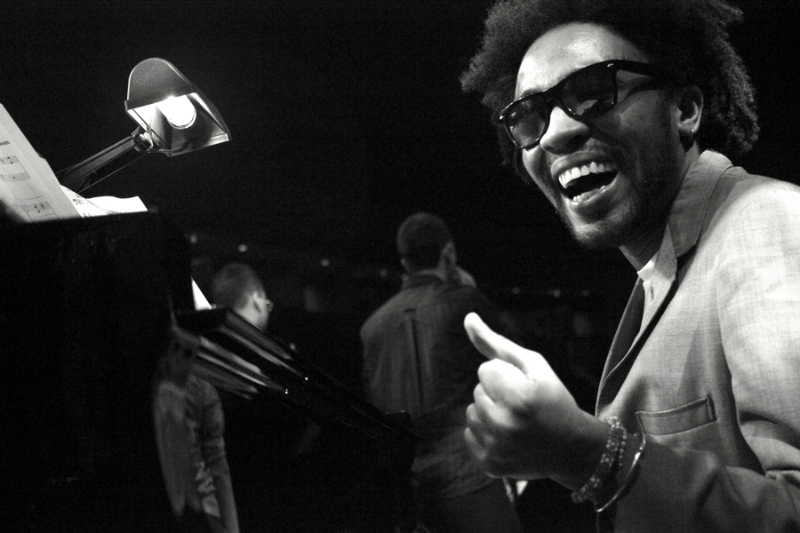 His new album JAZZANOVA, which is slated for release by Vega on March1, 2018, reflects an abiding passion kindled by his formative experiences with some of Brazilian jazz’s foundational figures. It’s a treasure trove of Brazilian riches, with beautifully crafted arrangements designed to shine a lustrous new light on classic material. Featuring a cast of top-shelf Bay Area players,JAZZANOVA was designed to showcase a superlative cast of singers and instrumentalist interpreting some of the Brazilian Songbook’s definitive standards and lesser known gems, with a couple of songs en Español included for good measure. While Tana is best known for the talent-proving band he coled with bassist RufusReid, Tana Reid, and as first call accompanist who toured and recorded with jazz legends such as James Moody, Zoot Sims, the HeathBrothers, ArtFarmer and J.J.Johnson, he’s collaborated with Brazilian masters from the start of his career. The album opens with Peixoto’s playful arrangement pairing CLAUDIO AMARAL and CLAUDIA VILLELA on “Águas de Março” (WatersofMarch), a loving hat tip to Jobim and Elis Regina duet on the classic 1974 album Elis & Tom. 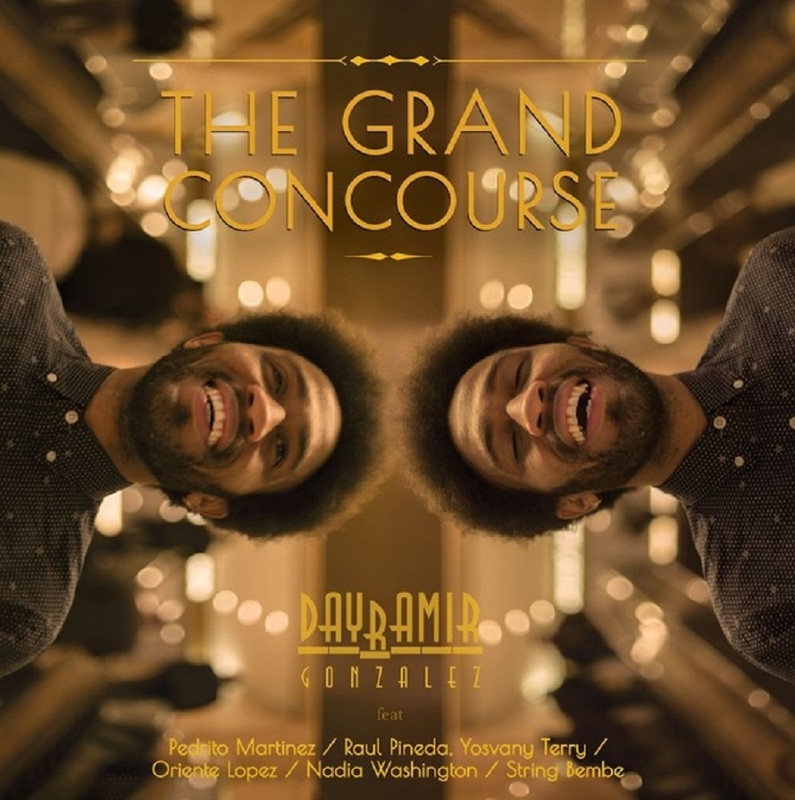 It’s a welcome spotlight for Amaral, who’s better known as a prolific composer and guitarist via collaborations with vocalist Mark Murphy and Brazilian stars Martinho da Vila, Joao Gilberto, and Airto Moreira. Villela, one of the world’s finest Brazilian jazz singers, also contributes two original pieces,the soaring, Joni Mitchell-esque “Jangaga” and “Diride,” which pairs her with her longtime creative partner Peixoto on acoustic guitar. Vocalist SANDY CRESSMAN steps forward on a gorgeous version of “CaminhosCruzados” (Crossroads), one of five classic Jobim songs on the album. Known for her expansive repertoire of MPB (musica popular brasileira), she’s an ideal choice to interpret Ivan Lins and Vitor Martins’s popular ballad “Bilhete, ”which features a startlingly beautiful Branford soprano sax solo. CARLA HELMBRECHT also puts her stamp on Jobim and Lins,delivering supple and emotionally resonant versions of “Corcovado” and “Love Dance” (Lins’s best known jazz standard). While Helmbrecht isn’t usually associated with Brazilian music, JACKIE RYAN has honed a polyglot repertoire encompassing numerous Brazilian standards, and her aching rendition of Jobim’s “Por Causa De Você” (Don’t Eve rGo Away) taps into the same bottomless well of desperation that made FrankSinatra’s collaboration with the composer so powerful. Ryan and the great Argentine vocalist MARIAVOLONTÉ effectively team up on Peixoto’s sleek and buoyant multi-lingual arrangement of Jobim’s “Chega De Saudade” (NoMoreBlues). One of Argentina’s most celebrated tango singers, Volonté fits neatly into the JAZZANOVA fold. In addition to “Chega De Saudade,” she performs another duet, joining Sandoval on the album’s closer, the romantic ballad “La Gloria Eres Tu,” indelibly linked to Mexican superstar Luis Miguel. Volonté’s impassioned performance is no surprise, but Sandoval’s potent vocals offer another glimpse at his prodigious musical gifts. Throughout the session, Tana renders the various grooves with taste and an unerring ear for textural support. As authoritative as he is behind the drum kit, he’s emerged in recent decades as a savvy producer who can turn a concept into a singular musical communion, such as 2011’s Kiss Kiss Bang Bang (Sons of Sound),a session exploring title themes from James Bondfilms, and 2013’s Otonawa, a strikingly beautiful project marrying traditional Japanese melodies with trenchant jazz improvisation. Born in San Jose in March 14, 1952 and raised in Palo Alto,Tana played in a rock band as a teenager, and become a devoted jazz convert after acquiring a used copy of Miles Davis’s classic 1966 album Miles Smiles. His father led various Buddhist congregations around the Bay Area and his mother played koto and piano.While majoring in East Asian Studies at Harvard, he continued to play jazz whenever he could. His friendship with budding jazz drum star Billy Hart led to an early epiphany when he had a chance to sit in with Herbie Hancock’s Mwandishi band in the early 70s. 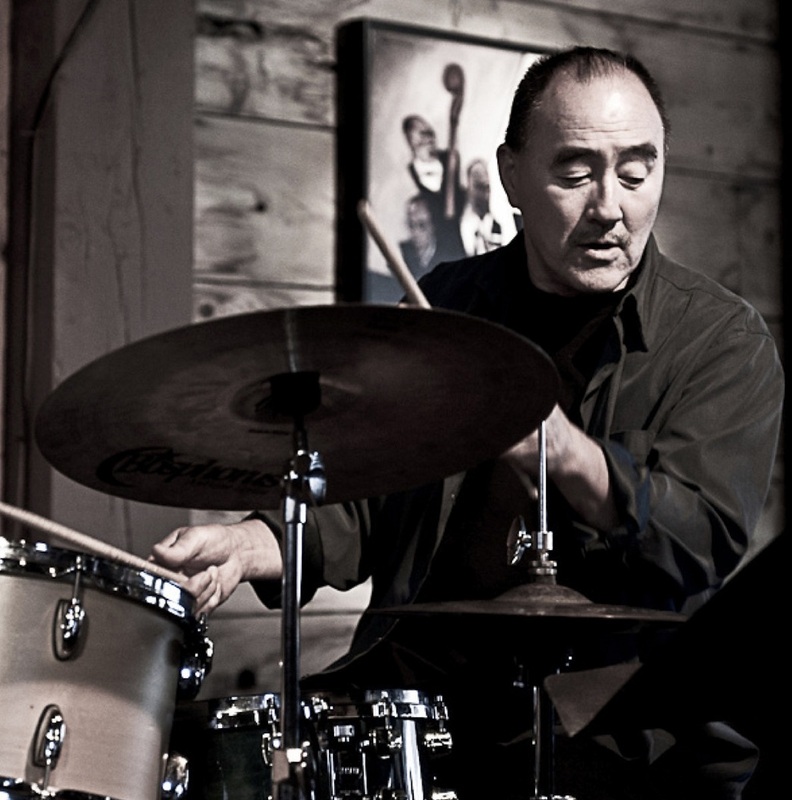 A protégé of the great drum teacher Alan Dawson (whose past students included Tony Williams and Clifford Jarvis),Tana decided to pursue music full time and enrolled at New England Conservatory, graduating with a degree in percussion, still finding time to do tours with Sonny Rollins, Hubert Laws, and the Paul Winter Consort. Other extra curricular gigs with heavyweight jazz artists like Milt Jackson,Sonny Stitt and Helen Humes during his eight years in Boston helped pave the way for his move to New York in 1979. He made a name for himself as a leader with Tana Reid, a band he co-founded and led with bassist Rufus Reid.During the course of the 90s the group toured internationally, released six CDs and helped boost the careers of brilliant young improvisers like pianist Rob Schneiderman, and tenor saxophonists Mark Turner and Ralph Moore. With JAZZANOVA, he’s staked a rightful claim to the Brazilian jazz canon, joined by a cast of redoubtable cast of collaborators.